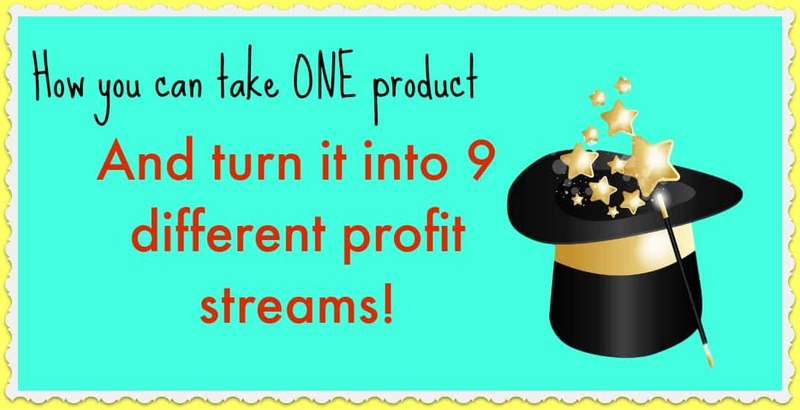 This is a blog post based off of my latest podcast episode, How you can take 1 product and turn it into 9 profit streams. The episode was sponsored by my “Done For You Bestseller” program at //rachelrofe.com/bestseller. 1. Share all of your products with your audience. This may seem obvious, but many people create products one time and then never mention them again! Make sure that your products are mentioned on your blog and to your list on a regular basis. My Products Page is actually one of my most popular pages on this blog. If people come here and like my content, they naturally want to know what else I offer. The same goes for people on your site or on your email list. If you have a mostly video-based course, Udemy can provide some decent passive income. I haven’t made crazy amounts of money from there, but I’ve made a couple thousand dollars over time. More importantly, I’ve gotten in front of thousands of new people. Back in November 2014 I made $474.61. Again – not huge money, but for the extra coverage, it can be worth it. The downside with Udemy though is that they’re a bit of a pain to publish for. Every time I try to post a product I find myself regretting it since they have so many rules, but I stick with it in hopes that I’ll get in front of all kinds of people I might not otherwise. There are also sites like Skillshare, JVZoo, or Clickbank where you can share your courses and hopefully find new affiliates to promote them. GPFYV will redirect you to a site that pays you based on how many people watch your videos and how long they’re watching them. They pay you for all kinds of videos – personal development, business, photography, arts, and so on. My best performing video is one that talks about 7 ways to feel happier in 5 minutes or less. If you already have the videos created for your information products, you can easily add some of them onto GPFYV and make some extra income and exposure. It’s free to go and post your videos, very simple, and I’ve never had any problems with getting approved. They even take videos that are 5 minutes long. 4. Post excerpts of your course and publish them on Kindle. It’s free to post on Kindle and can be an excellent way to get more traffic. Amazon has millions of peoples’ credit cards on file. If you can get your book in front of even the tiniest sliver of people there, then get them to your website and onto your list, you’ll be tapping into an awesome traffic generation strategy. You also get a small bit of passive income and people to potentially purchase your other products. If you’d like to learn more about this, check out my how to how to be a bestseller podcast my blog post on how to write a book, or an interview with Steve Scott on how he makes 5 figures a month with Kindle books. 5. Make a physical copy of your book. CreateSpace will allow you to upload PDF’s of your book and then turn them into physical books. Each book that you sell gets printed on demand, so you don’t have to worry about buying hundreds of books or anything like that. And even better, since they’re owned by Amazon, every book you create will automatically get added onto the Kindle listing for your book. Bonus: You can make audio CDs, DVDs, and video downloads with CreateSpace as well. 6. Turn your book into an audiobook. If you go to ACX.com you can have voiceover artists read your books for you. You can pay them upfront or if you live in the U.S.A., hire them for free and then share audiobook royalties 50-50 with them. After you upload your book, you get to choose the auditions you like best. When production is complete, it goes live on Amazon, iTunes, and Audible. This is another source that’s easy to forget about but still brings in passive income. I just checked my stats and saw I made 51 sales of another book I forgot I had. :) And considering I hired someone on the royalty split, it was free money. I hired my assistant to coordinate the entire thing. 7. Modify your content for a different audience. Many courses can be modified to reach all kinds of different audiences. For example, I just launched Video Retargeter. It’s a tool that creates videos on demand that you can use to advertise on Facebook and YouTube. For the first launch, I sold the tool to marketers who sell physical products. There are video background templates that have t-shirts, dogs, and so forth. The voiceovers all say things targeted to physical product owners. I could make a new version for real estate agents, or bookkeepers, or accountants, and so on. The more specific you make your product, the more people feel it’s specifically for them and the more likely they’ll be to purchase it. 8: Switch up how your course is getting delivered. If you have a regular information product, consider switching it up to an interactive course where there are live modules with live coaching, weekly calls, or email coaching. Because people are often afraid that they’ll buy a course and never open it, this will appeal to them. On the other hand, you can turn a live course into a hands-off info product that creates passive income with minimal work on your end. 9: Take a tiny section of your course and make it very low priced. You can take a small section of your course and sell it very inexpensively – for say, $1. By doing that, you’ll give people a great way to try out your content. You might not get rich off of it, but people will get to get a good feel for your style. This also helps add people to your mailing list and gets them in the mindset of buying from you. You can also retarget your full priced course to them, which gives you more profit opportunity. I hope this has helped you! If you have any questions on any of these points, or any topic requests for the future, let me know! I’d love to continue creating content that helps you.